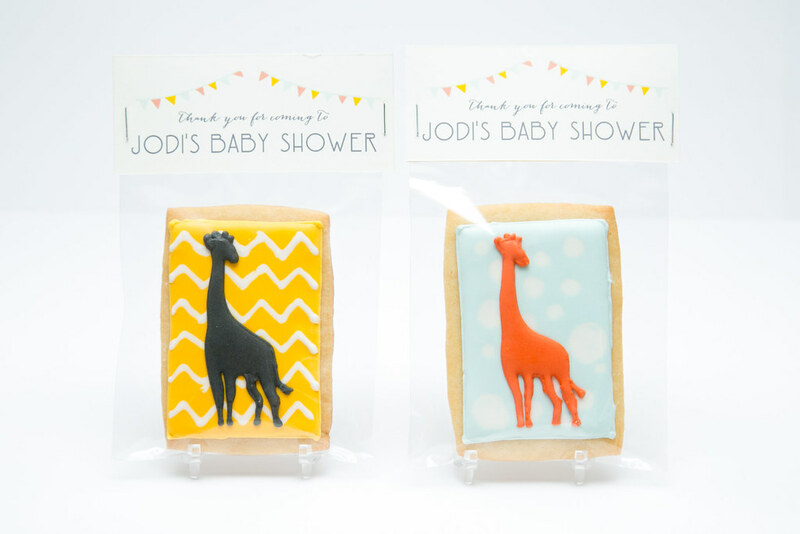 These cookies are inspired by Tiny Prints baby shower invitations "Joyful Giraffes" designed by Danielle Spinetta of Tallu-lah. Here is the final cookie design. 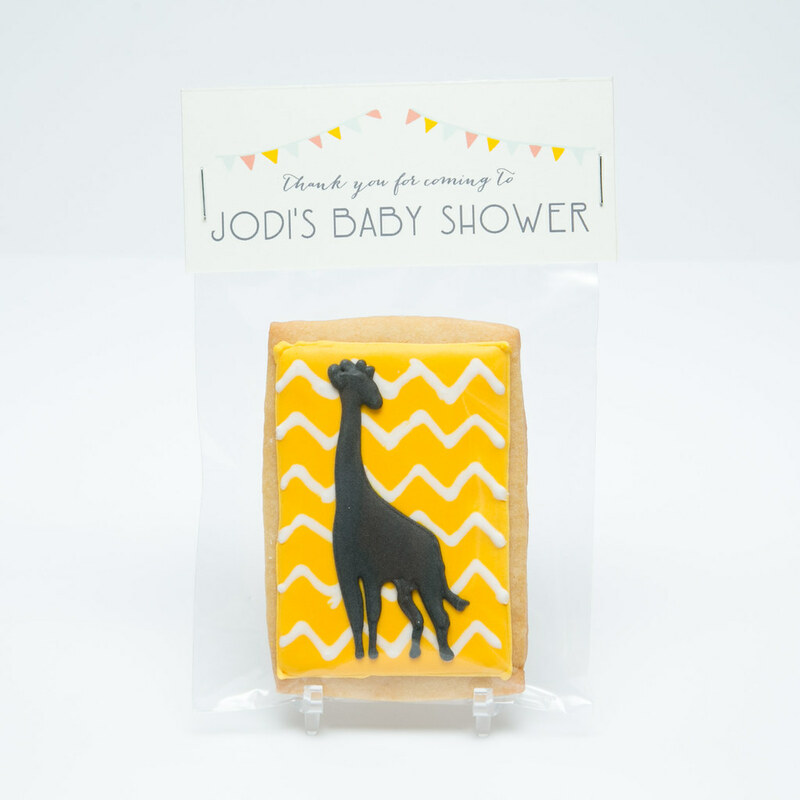 I switched the chevron and polka dot patterns to the background of the cookie and then did a solid colored giraffe silhouette on top. 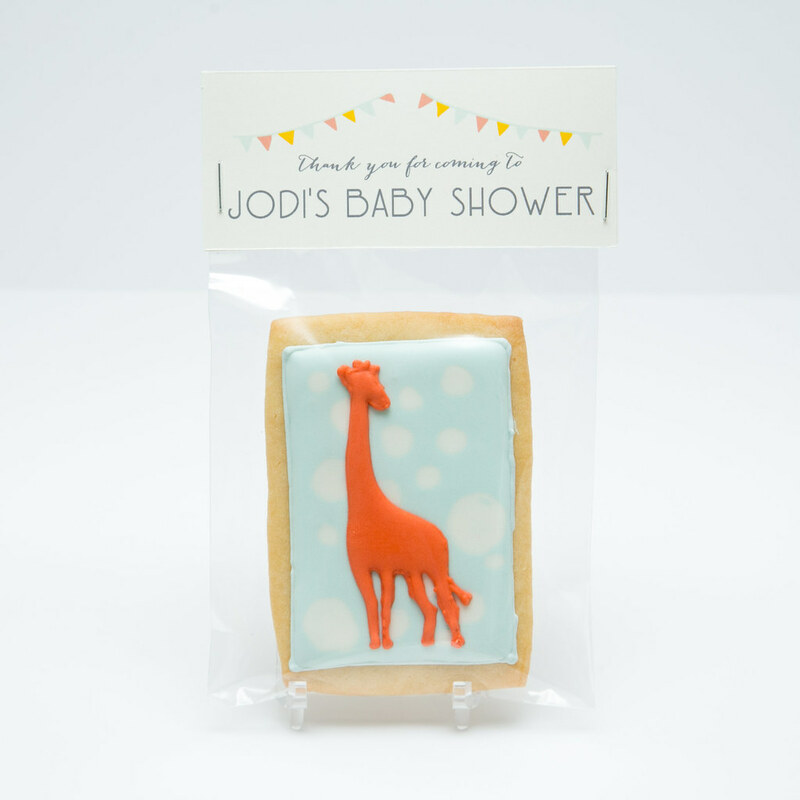 I thought the colored bunting flags went well with this colorful, whimsical baby shower so I incorporated that as a design element on the tags (drew them on my ipad, actually) and used similar fonts to the invitations. 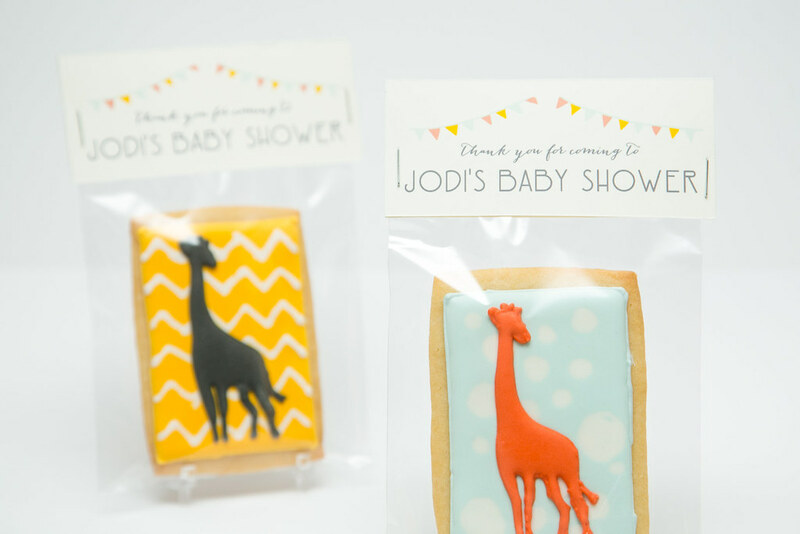 I really enjoyed designing these cookies -- I love when I get to use pretty invitations for inspiration.